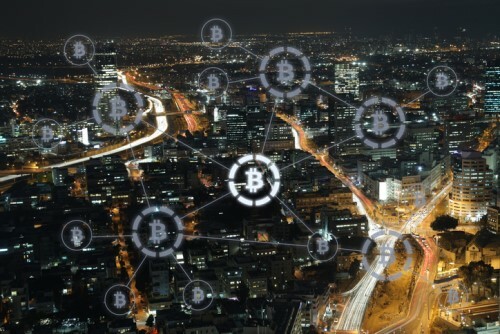 Titans of industry, such as global insurance risk managers Marsh and Aon, have already recognized the potential in blockchain and now, more companies are jumping on board to push the application of the technology in insurance even further. EY recently announced that it will act as the primary service provider in blockchain-related cybersecurity and risk management guidance for the Institutes RiskBlock Alliance, which is the first blockchain consortium for the risk management and insurance industry. The collaboration will assist RiskBlock Alliance in pinpointing the risks unique to its blockchain as well as identifying practice controls and providing blockchain-specific cybersecurity assessments and testing, according to EY. Given that the global blockchain insurance market is expected to grow from this year’s $64.5 million to $1.393.8 million by 2023, a projection from a ReportLinker study, it’s no surprise that Bassi is seeing the insurance industry take more notice of the technology and often, already have it standing by to implement into a variety of processes. The benefits to be gained from blockchain include reducing frictional costs and information asymmetry, which can be seen in the proof-of-insurance use case – one of 40 that RiskBlock has identified and is prepared to test. This would in turn cut out the need for call centers, eliminate the time required to provide that proof for customers by sending out insurance cards, and generally create a different business model, though there are many other sectors where blockchain has applicability – Bassi lists the shipping industry, and being able to put coverages on and take them off as ships pass through war zones, as well as the mobility space, where consumers are already shifting to the sharing of assets, like cars, versus owning them. “It’s all about access, [and] security around that access, around who can see what, around making sure that you’re validating who’s who, and making sure that the information is not corrupted and is accurate,” said Bassi.